France is voting in regional elections, the first electoral test since last month’s Paris attacks, in which 130 people were killed. According to opinion polls, there will be a strong showing for the far-right National Front (FN). The center-right led by former President Nicolas Sarkozy is expected to win in most regions at the expense of the governing Socialist Party. December 6 first round will be followed by a run-off on December 13. The election is also being closely watched after opinion polls suggested the popularity of the anti-immigration, anti-EU National Front had increased since the attacks on November 13. 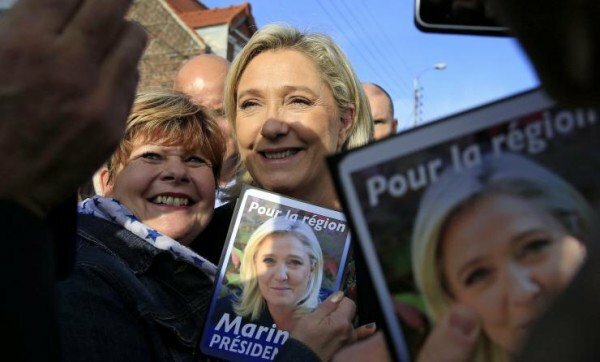 National Front (FN) leader Marine Le Pen is likely to win in the northern region of Nord-Pas-De-Calais-Picardie, while her niece Marion Marechal-Le Pen is a leading contender in Provence-Alpes-Cote d’Azur in the south. It would be the first time the FN has captured any of France’s regions. The party is hoping a strong performance will boost Marine Le Pen’s chances for the 2017 presidential election. Both Nicolas Sarkozy’s Les Republicains party and the FN appear to be heading for about 30% of votes, according to opinion polls, but President Francois Hollande’s Socialist Party is trailing on about 22%. The election is being held under a state of emergency which was declared after the Paris attacks. On December 4, the Belgian prosecutor’s office said police were seeking two new suspects accused of aiding the fugitive suspect from the Paris attacks Salah Abdeslam, who lived in Belgium. They are “armed and dangerous” and are thought to have helped Salah Abdeslam travel to Hungary in September. Investigators say Salah Abdeslam may have driven the suicide bombers at the Stade de France to their target on the night of the Paris attacks. However, Salah Abdeslam’s precise role in the attacks remains unclear. There are suggestions he was meant to carry out a suicide attack on the night but decided against it.